The additives play a vital role in the production of concrete and mortar quality in all segments of ready-mixed concrete industry, manufacture of prefabricated or concrete made on site. They are one of the ingredients which like cement, water and aggregates is added to the mixture before or during mixing. They are used primarily to reduce the production cost of the concrete, to modify the properties of hardened; to ensure the quality of concrete during mixing, transporting, placing and curing; and to overcome certain emergencies during operations and specific conditions. 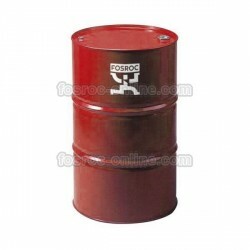 Fosroc is a leading global supplier of specialty chemicals for the construction industry. As leaders in technology additives Fosroc concrete helps develop innovative solutions for virtually any problem, requirement or technical approach present in the construction process, providing specific and effective professional solutions for each project. Today, concrete is the main material used at all in field of construction. Its versatility, malleability and high strength make it the perfect material for most structures and construction elements regardless of size. Despite all its good properties, concrete also has its limitations and problems of their physical and chemical nature. In order to avoid these limitations are concrete additives, which improve its features to suit the specific needs of a constructive situation. Additives for concrete and mortar modify the characteristics of the material, so it is necessary to use very careful, because improper use of additives can bring negative consequences to the structure. Multiple characteristics of concrete that can be modified and as technology advances construction, there are new additives to give special characteristics of the material. liquid additives which reduce the dynamic friction of the concrete, making it more plastic. This type of additive to the concrete mix is ​​added in the order of one liter per cubic meter of concrete produced and economizes on use of cement up to 15% also facilitate thickening and workability of concrete, through reducing the surface tension of water. 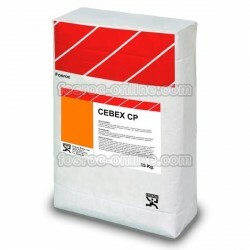 These additives reduce the rate of curing of the concrete, that is, increase its setting time. It is common use in situations when the concrete is manufactured outside the construction site and transport and concrete placement may take longer than usual. Its use has a number of benefits, such as reducing cracks in the concrete, more easily in density and viability, in addition to reducing the permeability of concrete. Additives quetiene the opposite function of retarders: serve to make faster the setting of concrete, speeding up the construction process. It is common to be used in construction, with a very short-term or late delivery. They act accelerating the chemical process of hydration of the cement, whereby the curing occurs faster, increasing the initial strength of the concrete and reducing the segregation of the material, thus decreasing exudation. They serve to create micro air bubbles inside the concrete mixture. This effect is desirable, for example when it is necessary to increase the thermal resistance of the material as in environments that are subject to freezing temperatures. 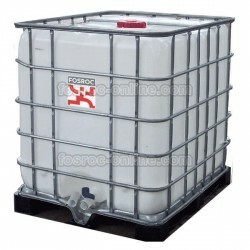 It also helps fight segregation of concrete aggregates and exudation of fluids. Additives to reduce permeability of concrete and mortars by capillarity. In addition to partial waterproofing, it increases workability of concrete and mortars. Consumption varies according to the amount of cement used in mortar or concrete. 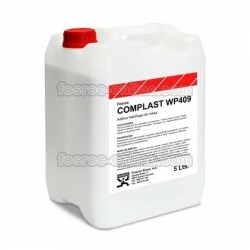 Conplast SD100 - Quality and consistency enhancer admixture of semi-dry concrete products. Cebex 120 - Powder air entrainer and plasticiser for dry mortar.